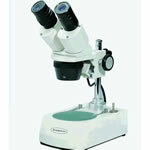 The Konus Crystal-Pro Microscope is a low-to-medium magnification stereoscopic binocular with a zoom objective. 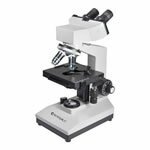 As a trinocular microscope, the Crystal's 3rd optical path is typically used for photomicrography or for displaying the image live to a screen for teaching purposes. 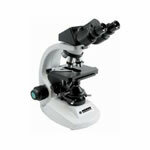 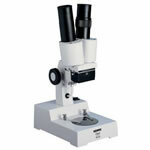 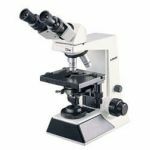 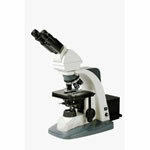 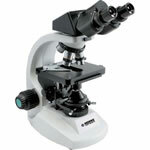 This is an ideal microscope for observing things like rocks, vegetables, bugs, etc. 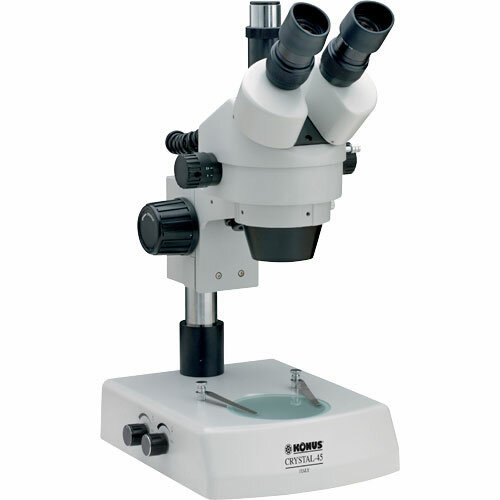 - any time you've got a collection of things that vary in size and shape and want to observe all of them quickly, the Crystal-Pro's a perfect fit. This Crystal-Pro comes with a combination of adjustable halogen and fluorescent illumination, and the specimen disc is both black and white to allow dark field, direct-illuminated observing when necessary. 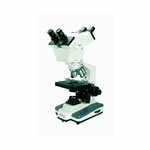 To make movements as easy as possible, the Crystal-Pro's zoom mechanisms are duplicated on each side of the microscope.